Hot Reads: How High is the QB Ceiling in 2017? Tanner Lee is the 90th-best starting quarterback in the country according to Steven Lassan of Athlon Sports. It's sort of an impossible task trying to rank every starting quarterback in college football. Lee's ranking might serve as proof. For one, you have to assume Lee is Nebraska's starting quarterback. I also make that assumption right now and don't try to discourage anyone else from making it because I think it will happen, but if you have to do that for 20 or 30 other schools around the country, too, you suddenly have a ranking that's built on a lot of conditional situations. Two, how do you decide between No. 90 Lee and, say, No. 91 Peyton Bender of Kansas, a junior-college transfer who has played five FBS games, none of them for the Jayhawks? Make an informed guess? Of course, but in the case of transfers, presumed freshman starters and other QB battles the information is pretty sparse. Even at 90th nationally, Nebraska is ranked ahead of six Big Ten teams on this list. 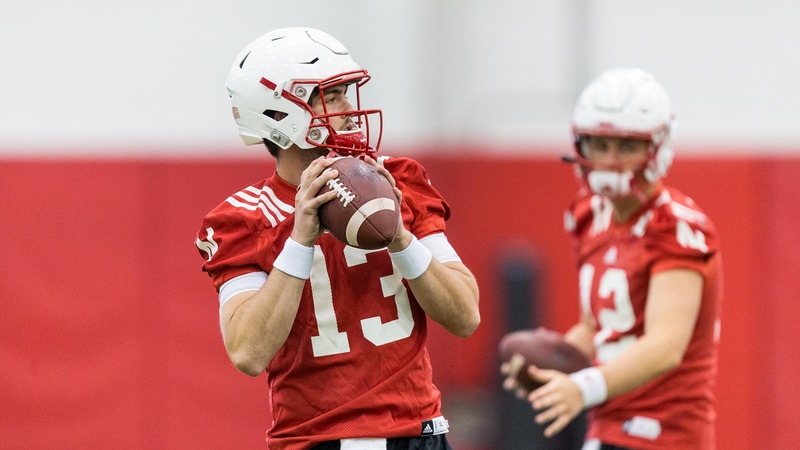 All of seven of those teams, Huskers included, are engaged in quarterback battles this spring, which should tell you something: With half the teams in the Big Ten looking for their starting quarterback, expect the unexpected in 2017. But the bigger takeaway from this ranking, at least for me, is the gap between this assessment and Husker fans' expectations for Nebraska's next quarterback (Lee or O'Brien). Judging from the early returns from our State of Husker Nation poll -- vote now if you haven't already -- Nebraska fans are expecting more than the 90th-best quarterback in the country this season. Certainly in the case of Lee, but I think O'Brien, too, if he were to win the job. A lot of fans' enthusiasm for 2017, almost by default, is pinned to the idea that this quarterback -- no matter which one it is, it's a 6-foot-4 pocket passer -- is a better fit for Mike Riley and Danny Langsdorf. That's not an unreasonable assumption. In fact, Nebraska's season may depend to a large degree on how true that is, and 90th-best nationally, in my estimation, won't be true enough. So what would be fair? Top 50, I think. If Lee or O'Brien is one of the 50 best quarterbacks in college football, that's probably enough, considering neither have played Power 5 football yet, to allow Nebraska to basically be the team most expect in 2017. As you probably know by now, sophomore forward Ed Morrow Jr. has elected to transfer. Defections have become pretty common at Nebraska of late and throughout college basketball, really. Between 2014 and 2016, 2,400 D1 basketball players transferred according to verbalcommits.com. That averages out to about 2.3 transfers out per team per year. Morrow's decision might be the toughest one for Husker fans to handle yet given his deep connections to the university, but I still think the larger story here is the cumulative effect of these transfers. Some of them made sense. Others, like Morrow, Andrew White III and Tarin Smith, are hard to explain. Even in an era when transfers are common, you have to ask why so many players with significant roles at Nebraska have opted to leave Nebraska. It's a question Coach Tim Miles needs to answer fairly quickly. SEC commissioner Greg Sankey has gotten involved to try to make sure guns are not allowed to be carried at Arkansas football games. Don't look now, but Kansas may have one of the best defensive linemen in the country. Paul Myerberg lists the 10 best football-basketball combo seasons this year in college athletics and a Big Ten team tops the list.